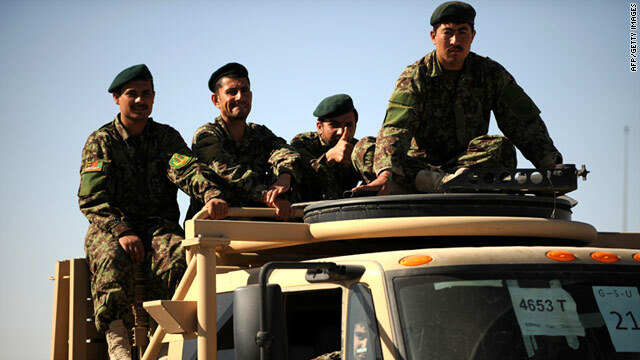 Separate attacks killed nine members of Afghan security forces on Monday, including two national army staff members who were shot to death at the Afghan Defense Ministry compound in Kabul, authorities said. An attack on police headquarters Friday killed the police chief for the southern Afghan province of Kandahar and two others, the Interior Ministry said. The police chief, Khan Mohammad Mujahed, and the two others were killed, but authorities knew little beyond that, the ministry said. Kandahar is the birthplace of the Taliban and has been the scene of fierce fighting between international forces and insurgents. Two NATO-led soldiers died in a friendly fire incident in southern Afghanistan, and a civilian was killed in an accident with a coalition convoy in the Afghan capital, NATO's International Security Assistance Force said. An ISAF Joint Command incident assessment team is looking into the troop deaths, which occurred Wednesday. There were no details about what happened, and the precise location of the incident was not available. ISAF said it plans to "determine the circumstances" of the friendly fire, the term for troops killing or injuring their allies or comrades. 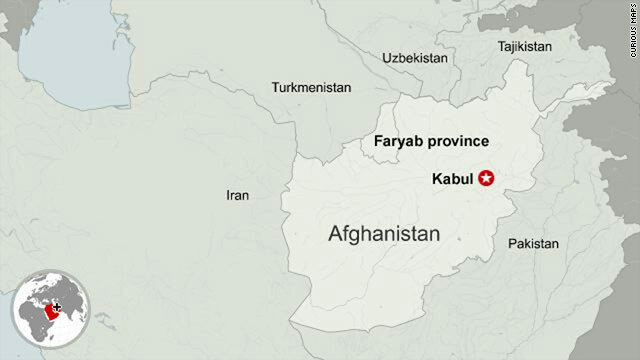 In Kabul, the nation's capital, the civilian was killed and two others were injured when one of the three ISAF vehicles in the convoy "accidentally struck some civilians who were in the road," ISAF said. 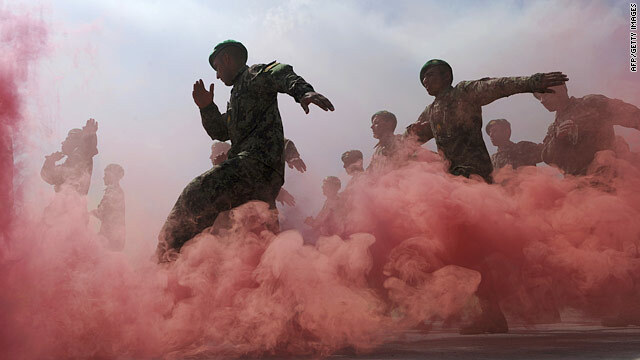 "A nearby ISAF patrol provided a security cordon while first aid was administered." The injured were taken to a medical facility, the statement said, adding that no shots were fired by ISAF members. The ISAF is the NATO-led mission helping the Afghan government in stabilizing the country and establishing security. Robots haven't taken over the future, but they may be taking over combat in Afghanistan. CNN's Fareed Zakaria reports. Afghan National Army soldiers ride in the back of a truck in Kandahar province, southern Afghanistan on March 23. Taliban fighters kidnapped 50 people - including police officers - in northeastern Afghanistan on Sunday, police said. The officers were among a group of people in four vehicles traveling in the Chapa Dara district, said Kunar province Police Chief Khalilullah Zaiyee. The captured were unarmed and on leave, he said. A Taliban spokesman said there were no civilians among the group captured. "We have got documents and evidence that shows all the 50 captured people are policemen and they have also (confessed) during the investigations too," Taliban spokesman Zabiullah Mujahid told CNN.